The fact is, there will always be those who will not be happy for someone's success. We feel Robin Bairner is one of those such people that is why we want to get your own option on this issues: Do Portugal deserve being EURO 2016 Champions or Not? This is Robin's opinion. 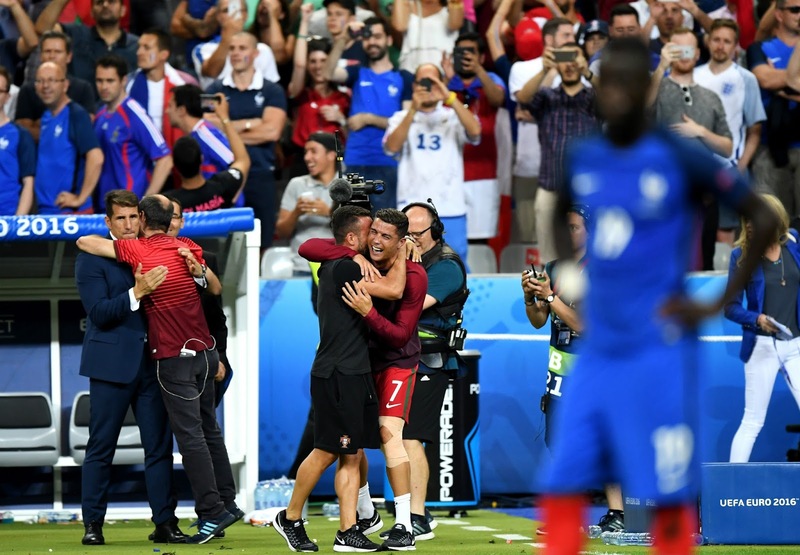 "Euro 2016 will be remembered as one of the poorest major international competitions of all time, so it is fitting that the Portugal side that claimed the trophy played in a manner that epitomised the tournament. 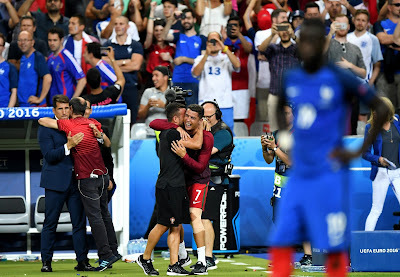 Dour, defensive and boring, Fernando Santos’ side ground their way to a 1-0 extra-time victory over France thanks to a fine goal from Eder that was out of keeping with what had gone before. It took them 80 minutes to muster a single shot on goal in the final, which was a bleak spectacle barely fitting of the occasion." So Robin Bairner argues that "Fernando Santos' side provided fitting winners of a tournament that will not live long in the memory of neutrals for positive reasons"
But we want to ask, between a child that use just one mark to pass the cutoff mark of an exam and a child that is deficit of the exam cutoff mark with just one mark who is more incline to get a promotion? The same is in the case of Portugal. It is WINNING that counts in knockout matches. Portugal have lifted their first national trophy. Portugal's name is now among the records of EURO's Champions. Winning EURO 2016 will undoubtedly make Ronaldo favorite for FIFA Ballon D'or this year. Cristiano Ronaldo have a good season this year, lifting the best/highest trophies for both club and nation, namely UEFA Champions League and EURO 2016. And we agree with Fernando Santo's which says: "I will be going home very happy.” So let them keep saying what they want to say, all we know is this, Portugal did not cheat their way to success and if their tactics are not valid, then they would not have come out has champions. Subscribe by submitting your email address below for more info.